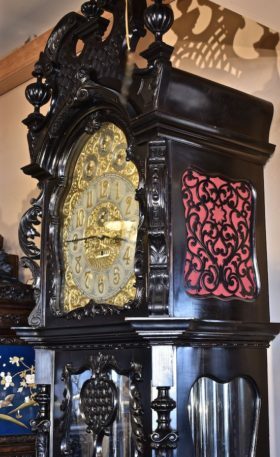 Standing at 9 feet tall this hall clock by the Elliott company of of London is sure to command attention in any home. 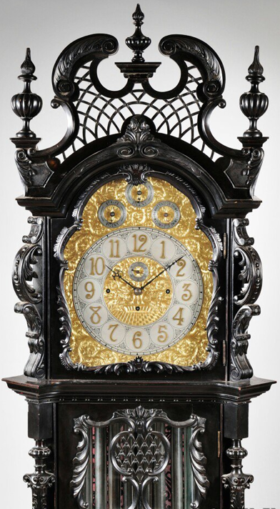 Dating back to the late 1800s this clock skillfully combines design elements of Art Nouveau, Gothic and Rococo. The expertly hand carved mahogany case is stained a deep ebonized finish, with pierced fretwork throughout. 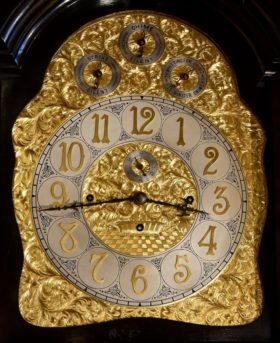 The clock face provides a striking contrast with a dazzling hand engraved gilt brass dial and silvered chapter rings. 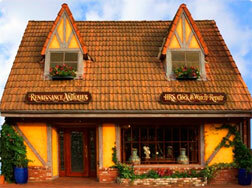 The clock houses an 8 day 3 weight movement, chiming the 1/4 hour on a set of 9 tubular bells.